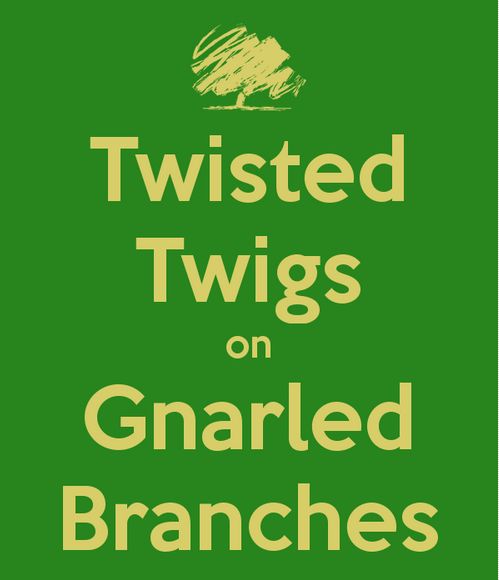 Twisted Twigs On Gnarled Branches: One year anniversary!! 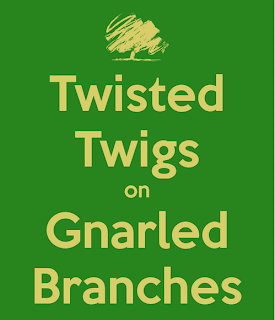 One year ago today, I brought Twisted Twigs on Gnarled Branches Genealogy to Facebook. I have had so much fun! I have met some amazing people, enjoyed sharing my adventure while researching my own family history, and adored reading all the comments left. As genealogists, we know that life can be short. Researching genealogy has been a passion of mine for decades. I remember sitting in one of my 8 am Medical Technology classes one year ago. I feverishly wrote an email, before class started, to a newly discovered distant cousin who's family though my 2nd Great Grandmother died as a baby. My professor came over and mentioned that he had the same look in his eyes when he started his Medical Technology classes. Something clicked. While I enjoy studying medicine and hoped to become a physician, I would most likely be preoccupied with thoughts of probate records to obtain and cemeteries I had yet to visit. I walked out of that class and never looked back. I am currently applying to Wayne State University to receive a Master in Library and Information Science degree and hope to become a certified genealogist in the next year. I want to thank everyone who visits Twisted Twigs on Gnarled Branches Genealogy. I sincerely appreciate all of you! What an inspiring story about your career blossoming . Keep and going and don't stop until you have the MLS degree in your hands . Good luck ! Welcome to GeneaBloggers! It is great that you have found your true passion. Keep striving until you get all you want. Good Luck! Deidre, congratulations on your one year anniversary on Facebook. Looks like you've developed quite a community there! I found your blog today, thanks to a mention on GeneaBloggers. Looking forward to reading more on your blog as well as your Facebook page! Thank you Jacqi for the kind comments and for checking out my Facebook page :) I'm learning blogging slowly but surely. Congrats on your one year anniversary on Facebook. I love your posts there! And welcome to the GeneaBloggers community! Thanks Jana. I appreciate it. I'm still a bit awe-struck about how quickly my page grew. Congrats, Deidre! You bring so much fun to the world of research. Deidre, I found your blog on Genealogy Canada, and just signed up to follow your facebook page. It takes a brave person to change a career plan like you did, but kudos for doing it. I remember many days when I snuck in research while at work. It's much better full-time. Congratulations on your anniversary.